Is your air conditioner making noise and not cooling? First things first, turn your air conditioner off at your thermostat. Next step is to call a professional. There are a variety of things that could be wrong. From a low freon charge or a bad compressor to a kink in a duct or a bad coil, you need a reputable company to check it out as soon as possible. 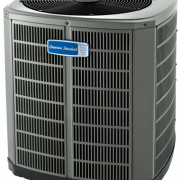 If you’re in the Greater St. Louis Missouri Area, call Mechanical Climate Solutions. We are not only reputable (A+ BBB Rating), but we are licensed, bonded, and insured for your protection. Our knowledge and experience is unmatched, and we pride ourselves on outstanding customer service and repeat customers. We offer competitive rates, and we fully guarantee all our work. So, if your air conditioner making noise and not cooling, give us a call. We welcome your business, and we look forward to serving you for all your HVAC needs.